Gift shopping this holiday season is supposed to be easier because of the ubiquitous stores and the numerous brick-and-mortar options for holiday gifts. However, with the overflowing options, instead of making our search easier, it seems to be getting more difficult each year. Aside from seeing overwhelming gift options, people typically do not have any idea on the gift they want or where to start. For this reason, our spirit of benevolence has come out with a useful list that people can instantly use as a guide. We decided to feature easy-to-find gifts that are definitely valuable, affordable and can be a special trinket to anyone who receives them. What are we talking about? We are talking about the best jewelry for wanderlusters! Jewelry can bring a lot of significance as a gift and everyone can be a wanderlust whether it is in your own backyard or half-way around the world! Call it whatever you like, travelers, vagabonds, nomads, globetrotters or wanderlusters, it is safe to say that everyone desires to travel the world. This is why a travel-inspired gift makes a perfect gift for everyone! No need to do so much thinking of what they would probably like or not. Traveling is a pretty generic thing, how to make it special and meaningful is up to you. Now that we have solved the very first issue when looking for a holiday gift, narrowing down the niche of your gift, the next thing to do is to ensure your gift will be special. 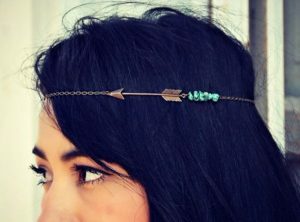 Arrow Headband in Antique Brass – Price: $22.1 – Get it via EtsyYou have to know what kind of traveler they are. Do they love to conquer mountains, go to beaches, explore cities, or do extreme adventures? Finding out about their travel habits will be another easy breezy task. All you need to do is to use your stalking powers and your smartphone. If the person you want to surprise is your friend on any social media, you probably already have an idea on which type of traveler they are. Below are our top picks when it comes to wanderlust jewelry. Funny how it is but there is always that one friend whom you will always see posting photos on cliffs. If you don’t see them on cliffs, they are probably posting photos with a huge sea of cloud in the background. This does happen once a year, yes it doesn’t. They climb mountains pretty often than you going for a jog. Every month, they can be seen on different mountain tops with the hashtag #worthit and more! If you plan to give a gift to a mountaineer, this silver mountain ring is the best option for you! If you are on a budget but you want to still get a dope gift for a mountain climber, this silver necklace is another great option. It is more affordable but it also features silver. Silver is a great metal to use for traveling. Most of them are tarnish-free. The humidity on top of the mountain is different so you might want to consider a gift that is highly resistant to tarnish. 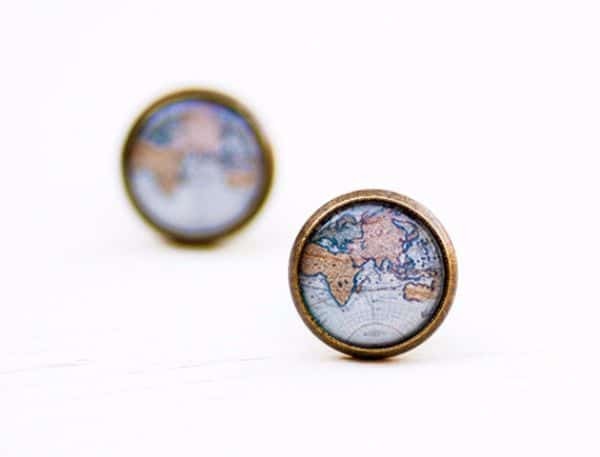 If you know your friend’s ultimate goal is to travel the world and you are on a strict budget for a gift, this is an affordable world map stud earrings make the best gift. It is beautiful and budget-friendly. Before you get a pair of earrings as a gift, ensure your friend has a hole on his or her earlobes. There are people who love experiencing different cultures around the world. It brings tons of new knowledge and amazing experiences you can’t learn from school. This Global necklace makes a perfect gift for people who want or have traveled the world. When it comes to traveling, directions play a huge role. 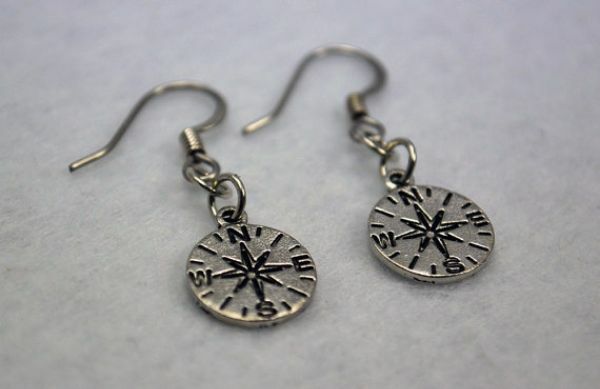 This pair of compass earrings is best for backpackers who are not afraid to get lost in unfamiliar places. There are different types of travelers, some love to chill on beaches and some love to go to the extremes! Diving alone is an extreme activity already, swimming with sharks is a whole new different level of extreme! 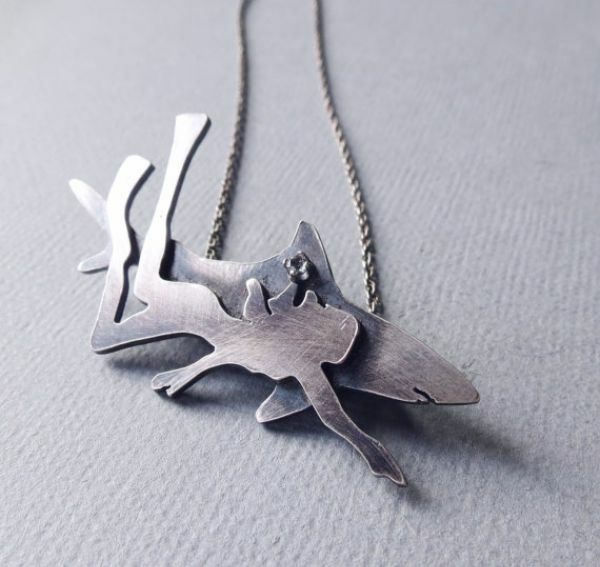 Get this silver shark necklace for your extreme adventurer friend and dare her to do such! Here comes another interesting gift for another type of traveler, the traveling yogi. The first way to find out if your friend is a yoga practitioner is to stalk their Instagram account. See if they post yoga poses on serene calm places like the beach. If you see at least one, they will surely love this oil diffuser bracelet! Give them a gift that they can use often. Going back to the #ootd queen, if you know your friend already has all the best items to wear on her daily travels, then go for the item that she doesn’t have yet. 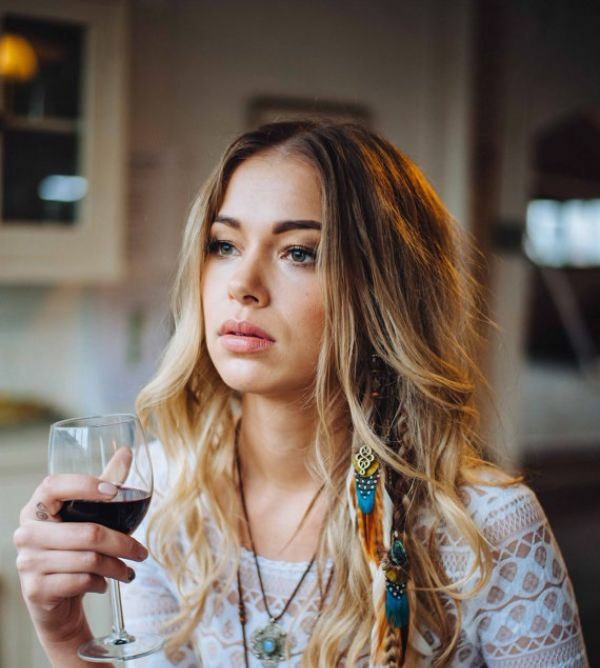 Not all people consider getting a hair extension clip which makes it a great unique gift for you to give. Nothing can beat jewelry that can both be a bracelet and a necklace. This leather wrap bracelet is an amazing gift for group travelers. If you have planned a trip with your friends next year, giving them an advanced gift will be an amazing way to show your love for them this holiday season. Not all people consider getting a head chain. It will be a unique gift to give. 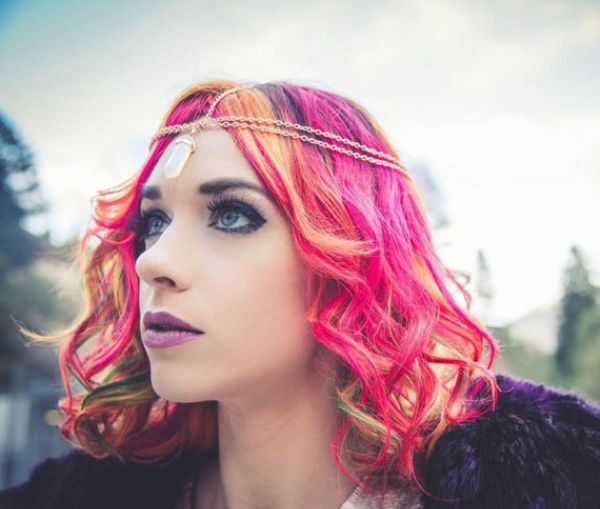 Head chains are a great accessory to use when traveling. They keep the hair look tidy and fashionable. They will suit the taste of fashionista travelers. 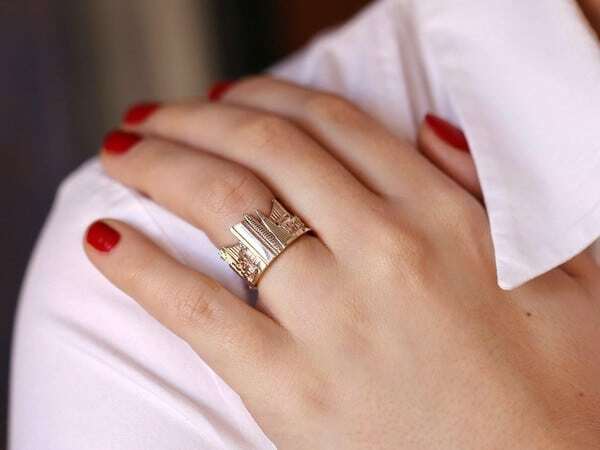 Give the usual band ring a twist and get this affordable raw diamond ring. Its unique design is perfect for unconventional wanderlusters. Going to different cities in the world will expose you to different unique geometric structures. Some are even brightly and vividly painted which makes this geometric cuff bracelet an idea beautiful gift. The world is full of different fun festivals. Do you have plans on going to one with your best friend? You better wear this hand chain ring bracelet with your travel buddy! Healing crystals like howlite are great travel companions. They are perfect for easy to wear jewelry for wanderlusters. Letting your traveling friend wear howlite will always bring calmness in their sleep despite the daily tiring travel escapades. There are people who love to go to the mountains, while there are also people who call themselves #beachbums. There are the ones who have more than 20 pairs of swimwear in their closets. Help them accessorize by getting these anklet sandals! It’s just lovely how these anklet sandals add aesthetics to the barefoot. Gift hunting should not be a difficult task. Make thing easier by following out tips! Give a gift that everyone can remember wherever they’re foot take them, whether they go to local cities or international landmarks, let them remember you by giving them jewelry for wanderlusters!